I am not quite sure what I was thinking when I decided to accepted the Hillarys Craft Challenge which arrived in my inbox a few weeks ago. I am a novice when it comes to sewing, but also a bit of sucker for a challenge. I needed to find a balance, something that utilised my basic sewing skills but also gave me a chance to use some imagination and incorporate some new skills. What could I make with a metre square of fabric? Racking my brain I decided it needed to be a practical item, that could also be decorative. I was toing and froing between a door stop or a draft excluder. Then I thought why not do both, but I could only submit one item into the Hillarys Craft Challenge. Ding! I had an idea. It happens every now and then! Why not combine the two. A decorative draft excluder that keeps out the chill in the Winter months, yet keeps the door ajar in the Summer. Suitable for indoor doors. Allowing cool air to circulate the house. Ok it's not a Noble Prize winning idea, but I am quite pleased with it. The main draft excluder consists of two pieces of rectangular fabric measuring 90cms x 23cms. I like to measure out and create a template from a roll of greaseproof paper. Before stitching the fabric together, now is the time to add any decoration, to the pattern side of the fabric. 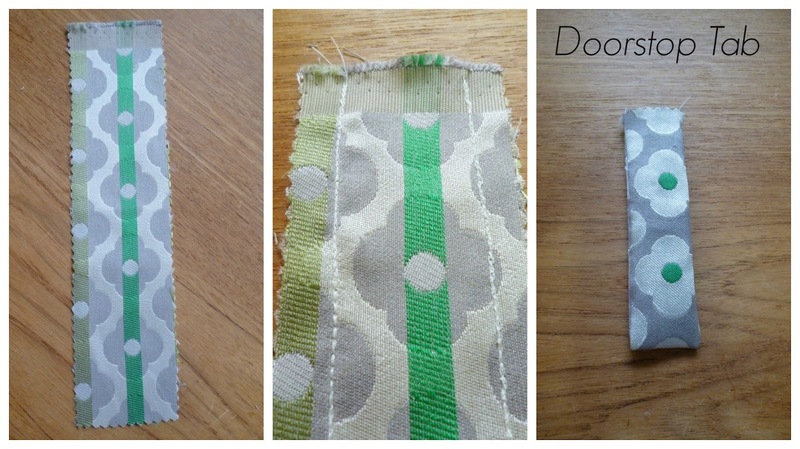 I added some decorative ribbon, making sure it matched on either side of the draft excluder. Cut out a strip of fabric measuring 26cms x 6cms. 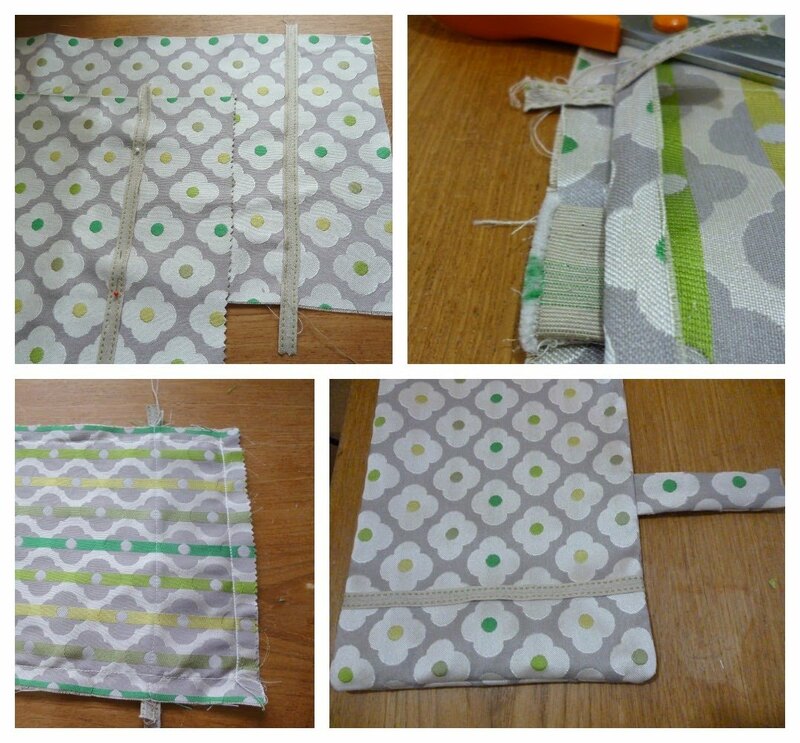 Fold this over so that the right side of the fabric is on the inside. 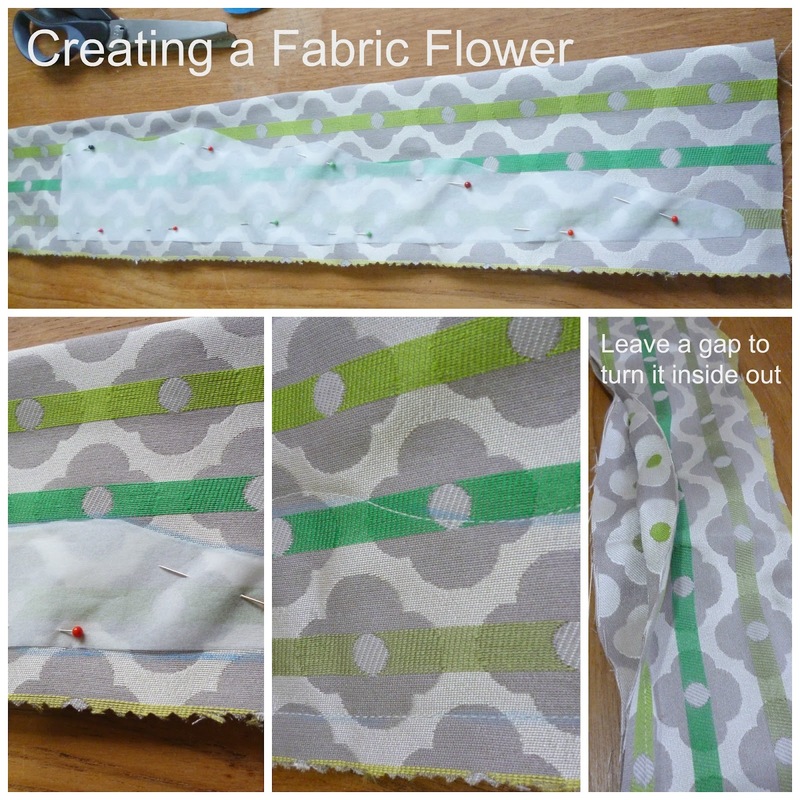 Sew along the two lengths, using a seam. Turn this inside out. Placing the two large pieces of the draft excluder fabric on top of each other, with the pattern side on the inside. Insert the doorstop tab between the two fabric pieces, around 15 cms from an end. Sew along three sides of the fabric, leaving one of the short sides unstitched. I used a strong stitch, the triple stitch setting on my sewing machine. Turn this inside out, and place to one side. Large Flower for Doorstop - The flowers do use quite a lot of fabric. Start by creating a template using the roll of greaseproof paper. Draw a line 43cms in length, at one end draw a line 9cms in height. Using a gentle wavy line slowly reducing down to meet the far end. See photograph. This is half of the length of the flower. You will need a piece of fabric a metre in length and a width of 20cms. Fold this over pattern side on the inside, so you have a long thin folded over piece of fabric. Pin the paper template to the fabric, the flat end in the middle. Use the chalk to mark the pattern onto the fabric. Flip the paper over to mark out the pattern on the remaining length of the fabric. Sew along the chalk marks. Leaving an area in the middle of the long straight edge so you can turn the flower inside out. Press the seams. Trim the excess fabric and turn inside out. I used the end of a knitting needle to gently turn out the ends. Hand sew the gap used for turning out. Using embroidery thread, sew a long running stitch along the straight edge. Pull the tread to carefully, pucker up the fabric, and roll the fabric up. 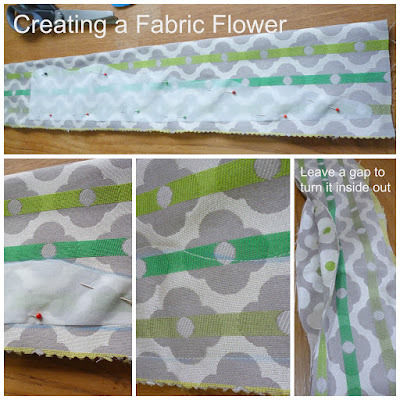 Pull and adjust the fabric to create a flower shape. Stitching the bottom together to keep it in place. 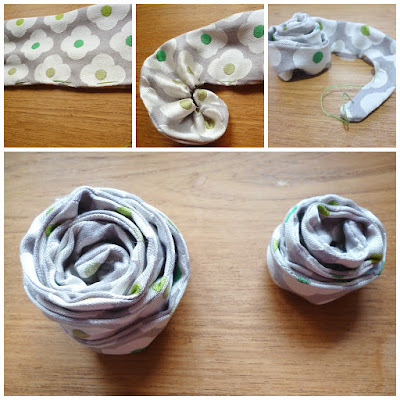 Small Fabric Flower - Repeat as above for the large door stop flower, using the smaller sizes of 27cms and 41/2cms to create a smaller decorate flower. 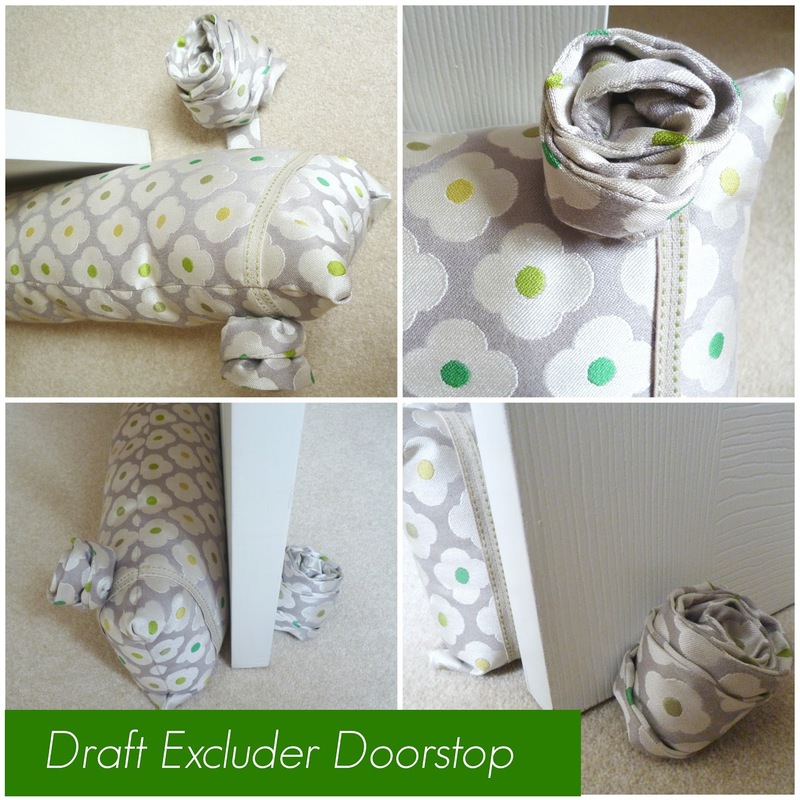 Try the draft excluder at the door, decide which side you want to attach the decorative flower to. Taking note which side you want the Doorstop Flower attaching to the tab. The tab should be positioned under the door onto the inside of the door. With the draft excluder on the outside. Position the flowers and stitch in place. Stuff the doorstop with suitable stuffing material, available from all good hobby shops. Carefully sew the end. Now you have your very own homemade Draft Excluder and Doorstop. This is my entry into the Hillarys Crafting Challenge 2015. Great idea, door stoppers are something we always need in my house but never hae, may have to make one now! !